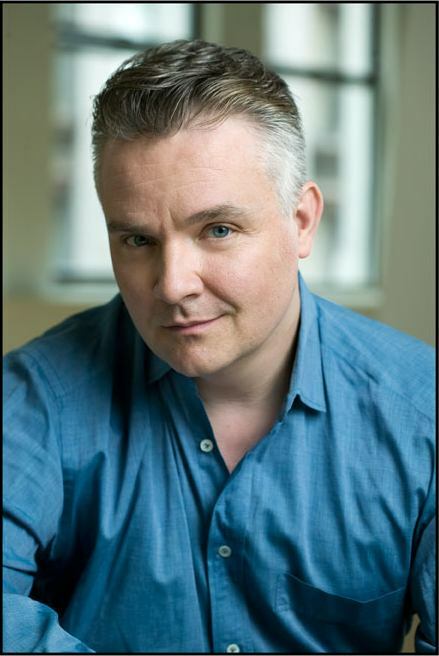 Longtime AOP baritone and board member Michael Zegarski will star as the German proprietor Oswaldo Staub in Opéra Français de New York (OFNY)‘s upcoming U.S. Premiere of Marie Galante on November 13, 15, & 16. The production that showcases the fully-restored orchestral score of Kurt Weill‘s 1934 music and reconstruction of the original play by Jacques Deval. It stars internationally acclaimed soprano Isabel Bayrakdarian in the title role and is conducted by Yves Abel. The story centers around the innocent and tragic Marie, who is abducted in France and taken to South America by the lustful Captain Letuvier. Our valiant heroine scorns Letuvier’s advances only to find herself abandoned in a strange and exotic land. Having turned to prostitution in order to survive, Marie plans for her return to Bordeaux, but is caught in a web of deception that ultimately leads to her demise. Weill’s music invokes the passion and allure of 1920s French cabaret foreshadowing the impending threat of Nazi Germany. Exclusively for this production, the producers have added a famous Weill song titled, Complainte de la Seine, to be sung by Zegarski. 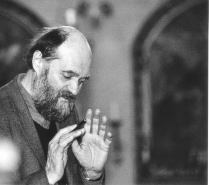 AOP is proud to announce that on January 11 & 12, 2009 we will partner again with Works & Process at the Guggenheim to present two monodramas set to the music of acclaimed Estonian composer Arvo Pärt. Half of the evening will be a dance piece choreographed by Christopher Wheeldon and the other half will be AOP’s premiere staging of Pärt’s 2004 composition L’Abbe Agathon, to be dramatized by famed visual artist Sophie Calle. The performers of these two monodramas will be Lauren Flanigan, Wendy Whelan and Albert Evans. AOP & W&P previously collaborated on the workshops of Darkling and the world premiere of Romulus. Stay tuned to the AOP events page for updates. Opera News has reviewed the latest CD from Lee Hoiby that features a recording of This is the Rill Speaking performed by Eastman Opera a few months before the staged AOP premiere that took place this past April. Benton Hess was the conductor for both Rill productions. 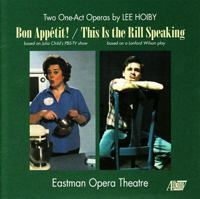 With his 1987 opera Bon Appétit!, American composer Lee Hoiby (b. 1926) took on the making of a chocolate cake, as told through the actual words of celebrity chef Julia Child. Hoiby composed Bon Appétit! in 1985 for American actress Jean Stapleton, who sang the 1989 premiere at the Kennedy Center and later performed it in an off-Broadway run, paired with another Hoiby one-woman one-act, The Italian Lesson. The libretto for Bon Appétit! was adapted by Hoiby’s frequent collaborator Mark Shulgasser from transcripts of two episodes of Child’s TV show, The French Chef. The overwhelming popularity of Child (1912–2004) came not just from her culinary expertise but from her self-deprecating humor and matter-of-fact style. Hoiby wisely left most of the gags for the staging and wrote a tuneful but straight-ahead vocal line with no melismatic flights of fancy. The performance here by mezzo-soprano Kathryn Cowdrick, an assistant professor of voice at Eastman, is likewise engaging but not showy. What’s delicious about this twenty-minute piece is Hoiby’s lively, playful accompaniment and his colorful orchestration for piano and chamber ensemble. Like Child’s whipped egg whites, Bon Appetit! may be light and frothy, but it’s the result of a master’s sure touch. This is the Rill Speaking is a chamber opera adapted by Hoiby and Schulgasser from a 1965 play of the same name by Lanford Wilson, the Pulitzer Prize-winning playwright who provided the libretto for Hoiby’s 1971 setting of Tennessee Williams’s Summer and Smoke. Set for six singers playing eleven characters,This is the Rill Speaking is a tender evocation of small town America circa 1950, similar in nature to Thornton Wilder’s Our Town and Edgar Lee Masters’s Spoon River Anthology. 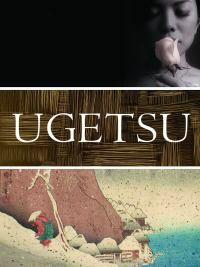 Though the work was written in 1991, a New York City performance produced this past spring by American Opera Projects was billed as the opera’s “world-premiere professional production.” Eastman Opera Theatre gave the premiere performance of Hoiby’s orchestrated version of the opera as recently as January 2008, directed by Johnathon Pape, and this recording soon followed. The six Eastman students in the cast do a more than serviceable job, though some use hick accents that are fake and intrusive. Hoiby’s writing for voice and orchestra moves with surprising ease between urban swagger and country languor. The Eastman Opera Theatre Orchestra conducted by Benton Hess provides fine accompaniments to both works. Tomorrow, Tues Oct 28 from 6-7 PM, our Executive Director Charles Jarden will be part of a panel at OPERA America to discuss “Workshopping Your Opera.” It’s part of their Making Connections series and costs a mere $5 for members ($10 for non-members). Other panel members are Diane Wondisford, Music-Theater Group; Ricky Ian Gordon, composer; and David Schweitzer, stage director. On Wednesday, Making Connections will hold a discussion on “Performing in Your Community” with a panel that includes AOP founder Grethe Barret Holby and Opera on Tap founder (and former AOP Apprentice) Anne Ricci. Next week, the NEA will give its first ever lifetime achievement awards in opera a week from now in Washington D.C.. If you are in the area, check it out. You’ll get to see a recorded tribute to Leontyne Price from our own Lee Hoiby (This Is the Rill Speaking) who has worked with and written for Ms. Price for many years. Here is the information from the NEA’s release. The National Endowment for the Arts (NEA) has established its first individual arts award in 25 years, the NEA Opera Honors. The awards, which celebrate lifetime achievement and individual excellence, will be presented on October 31 at the Harman Center for the Arts in Washington, DC, with performances by the Washington National Opera and members of its Domingo-Cafritz Young Artists program, conducted by Placido Domingo. NEA chairman Dana Gioia says that the new award “recognizes that American opera has truly come of age with our singers, musicians, composers, directors, designers and opera companies who are second to none in the world.” OPERA America, the national nonprofit service organization, is the NEA partner in the Opera Honors program. In this inaugural year of the award, Washington National Opera is also a partner. The first NEA Opera Honors are being given in four categories: singer, composer, advocate and conductor. Soprano Leontyne Price is known for her elegant musicianship, her generosity to young singers and her remarkable recording legacy. Composer Carlisle Floyd has had a long and distinguished career; his many memorable operas include Susannah and Of Mice and Men. Advocate winner Richard Gaddes, the general director of the Santa Fe Opera and co-founder of Opera Theatre of Saint Louis, is known for challenging, adventurous programming. James Levine, who has led the Metropolitan Opera premieres of work by composers from Mozart to Weill and the world premieres of American operas by John Corigliano and John Harbison, has also fine-tuned the Met orchestra into one of the world’s leading ensembles. This evening we will be performing our Walt Whitman in Song program in a special presentation for The Rockefeller Brothers Fund at Pocantico, the estate of John D. Rockefeller and home of Kykuit. We will be adding a new song to the program, premiering tonight – Gilda Lyons’s “Old Walt”, an a cappella piece for trio commissioned by AOP. You are currently browsing the Have a Voice blog archives for October, 2008.